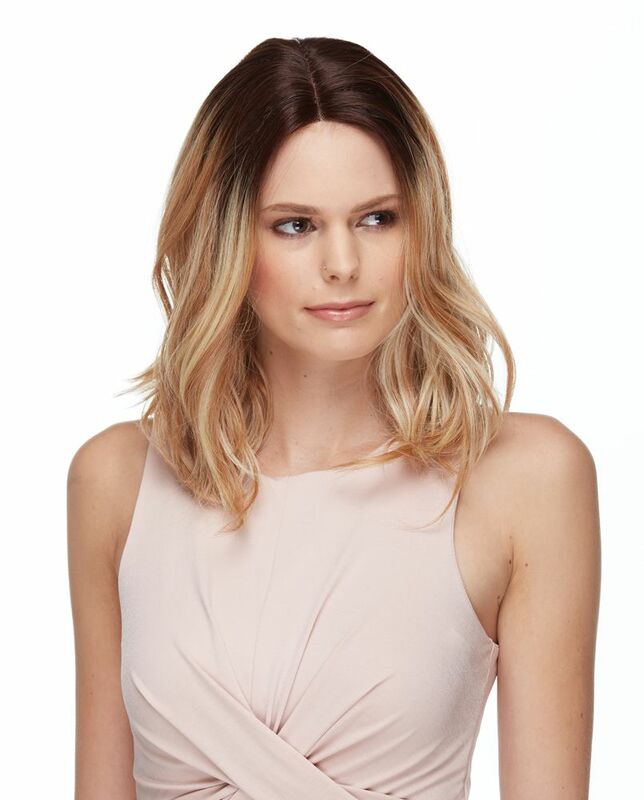 Lace front shoulder length smooth wave wig with middle part. 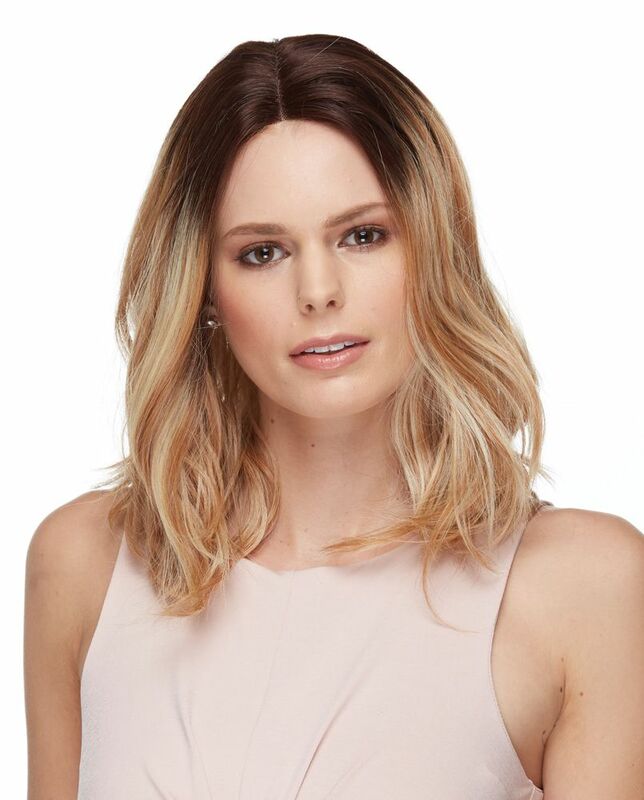 Model is wearing this wig in brand new custom blend of brown crown and ombre strawberry blonde and pale blonde tips(SOM7008). Our newest arrivals also feature this color in styles Peagan, Elise and Saffron. For more ombre three color styles check out our style Peagan, Dynasty, Brandy, Ginger and Heather, Monet and Sahara.